I have a D90, had it for 2 years now. Really like it, but this new body is very appealing to me. I'll wait until its out and tested "in the field", but I may do an unexpected move soon. I'm specially interested in the video mode. 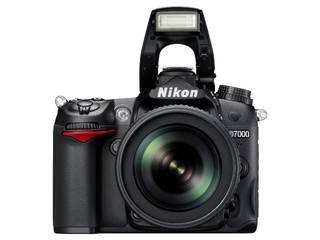 For pictures, the D90 is already a good think, but for video it is poor in low light. I hope this one will be way better. And the external mike input is also a good news. I had a D90 and loved the results but not the weight. This camera, as much of an improvement as it is, is even heavier than the D90. If I were looking for a DSLR right now it would be the Sony a33 or a55.